At this point, if new additions aren't game breaking people wont spend money. It is cgs mo. They have never been concerned with power creep. It is to late to start now. The Falcon isn’t pay to win though, the required ships have been available long enough to have farmed to at least 5 Star by anyone who has access to the nodes. I got a late start myself, but only have 27 shards (2 or 3 days) to go between XB and 2000. Yes, I have chewed through about 500 crystals of my small stash (it was still recovering from Bounty Hunter and Ewok Gear grabs) plus all my daily crystal income on refreshes. I do my dailies every day, maintain usually a top 50 or top 100 finish in arena, and just working into the top 100 on fleet (so not making any crystals there) and will very easily possess a 5 Star Falcon before the event ends without spending any money. 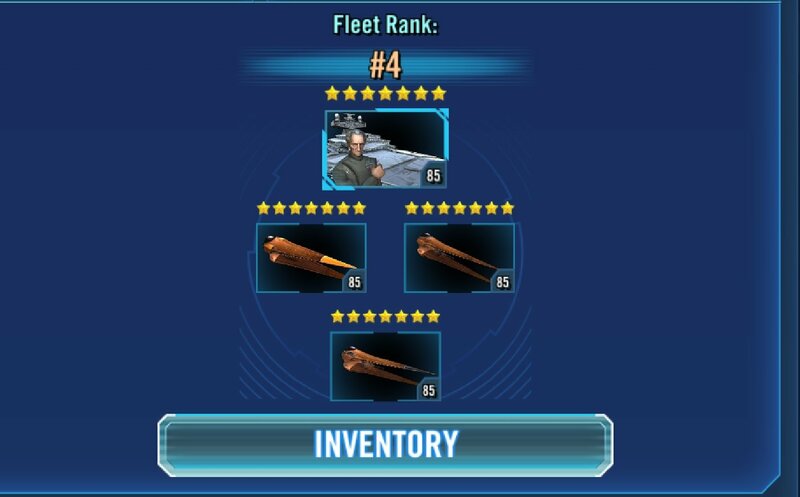 The ship has only been in the game a couple days, counter fleets will be developed - and the Hounds Tooth is far from useless even so, and very certain nobody made anyone farm it (I certainly didn’t get around to it until after I finished my Revan farms, still only 5 Star. ), if anything, this is (hopefully) finally the start of diversity within the fleet shards. haha rockpaperscissors and rocket powered sledgehammer! This was my closest battle so far. 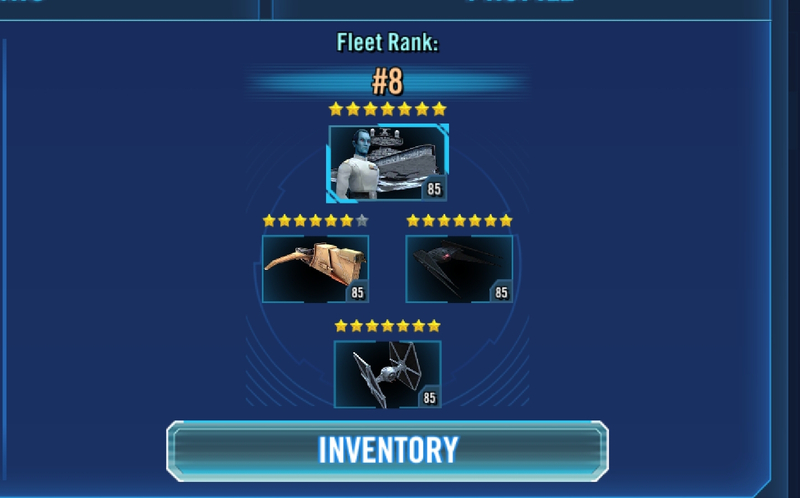 Congrats on beating the falcon that is using the wrong lineup! Honestly the real OT falcon teams have not come out yet for a lot of people. And for a lot of people they won't have the best team for awhile. The thing that makes Falcon even more expensive is the amount of other ships he requires maxxed to be useful. But if you have the right ships then gg. OGMF isn’t P2W. Revan was P2W. JTR was P2W when she first came out. Chimera was P2W when it first came out (not as severely but still somewhat). OGMF is easily attainable to anyone that followed the hints the last few weeks about the ship dropping and anyone that looked at the forums and used reason. Rebel ships? Empire? Cmon now. Know the trend of CG and farm. I started late because I wanted to finish my KOTOR farms for Revan. Had I not waited two weeks i wouldn’t have needed to drop roughly 2400 stored crystals on the BH ship packs to get my new ship. Believe me this is one of the easier things to have. The biggest argument against this though is the lack of choices for the ship. Allowing 3 of the ships would’ve been better. Actually it didn’t have to be. By the time xandu, IG2000 and HT were farmable the forums were flush with data mines, hints and drops about OGMF coming soon. You should’ve farmed from day one. I myself didn’t and spent 2400 of my crystal stash on the packs to make up for my refusal to stop farming KOTOR. This game is resource management and choices. Unless you pay cash you won’t get everything right away. Choose your paths. Some will lead you down the road to an objective quicker than another but eventually you will get there. Patience young padawan. Nothing wrong with this argument. Farming the new bountyhunter ships was a choice. Some did - som didn't. Those who did, now have the new Falcon in their roster. This power creep is making the game uninteresting, there's no balancing. 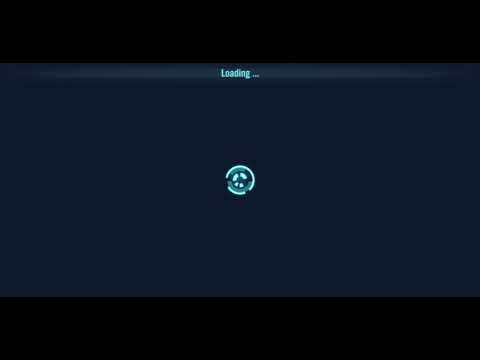 You made us farm HT for months only to make it useless right after. Who makes these decisions? Don't expect things to change. Don't expect CG to balance all factions. Letting power creep is in CG's business model - and as long as their business is good, they will not change it. Ship balance is fragile because there is so few of them, once we get a solid base of "new generation" ships, there will be several possible lineups close in power like in the character arena. Of course, there will always be one that is the best at the moment, but that is just the nature of the game. I think it's fair to consider the business model/the way they handle powercreep a smashing success for GC. People think they dislike powercreep, but i'm reasonbly sure most of them would like (more) balance even less. Even the OP made a post about Traya not holding on def anymore without realizing that squad arena has become more balanced with the introduction of 3po. I explained that it wasn’t. (I personally chose to finish my Revan and Bossk farms while continuing my HT farm, only throwing a bit of speculation energy at XB and 2000 when the puzzle came out, had them both about half way to four stars when Falcon unlock requirements were officially announced, so it has cost me several hundred crystals and ground my other farms to a halt for several days - except 3 DS nodes for daily activities - while I bring them up to 5 stars for a Falcon unlock, I am now 57/65 on XB and 60/65 on IG-2000, and my crystal stockpile is 650 crystals lower than when I started 8 days ago.) No, not everybody was or is in a situation where it made sense to immediately speculation farm the new bounty hunter ships (though as others have mentioned, there were plenty of clues pointing that way, as well as past examples), but that is a choice. If you didn’t start on them early, it will cost you either money or stockpiled crystals to unlock. The cost is even higher if you want it 7* this go around. But if you are any kind of crystal hoarder, or you correctly read the proverbial ‘writing on the wall’ to start the farm early, there was certainly no need to spend money to get a 5* Falcon in your inventory, thus it is not p2w. Those 3 do not have it unlocked. They were not in the top 20 when I went to bed. They seem to be able to win against HMF in less than 5 min and 2 are still using HT (meaning hes not useless yet). They dont seem to be doomed. Ok, that information was missing from your first post. But my other point still stands, we will see the full effect the Falcon has on arena in a week or so, when the optimal setup is figured out and people have geared the appropriate characters. And it's clear even now that HMF is very effective against HT. One of the biggest keys to beating the Falcon is Cassian. Bring him in as your first reinforcement; instagimp Hans Mil Fal, and its over. Yes, but the OP is not waiting to evaluate this, he is making these claims right now. Even with the mace meta we just saw we still had variety, I don't expect this to be any different. They sky is not falling, it's just a bit of rain. I'm not saying this isnt going to be a meta shift, just that there will be counter teams and low level HMF that will be mixed in on every shard. It can be cleared, just not copied. Or at least it says nothing about it in the description and doesn't show that little lock icon in battle. Correct, it can be cleared. HMF is a pretty proper glass cannon. Clear the buff and he can be taken down in 1-2 turns. You guys assume too much but fail to see the bigger picture. You expect people to commit into farms without solid evidence of anything coming and nothing but rumors and speculation. If they commit and nothing comes (solo characters) then you blame them for overcommitting and wasting resources on rumors and speculation. If they don't commit to rumors and speculation then you blame them and then say they should have taken the hints and commit to those characters/ships from day 1. Either way you can't win with you guys. Idk if you get insider information but i can tell you hard when you don't. And if happened to jump on the hype wagon and switch my attention from my unfinished farms to commit to the new characters from day 1 then when the unfinished farm character returns I'll be blamed again for not finishing them. Ig88 was the only "blind farm". HT and blood have been working together great for a long time. Boba has been a great reinforcement since ships 2.0 was released. All the pilots have either been out for a long time or were used in the Chewie event. So "wasting resources" on a single ship ig2000 is not over committing by any stretch, even if it was purely based on speculation. That being said, this was more of an educated guess, as it was all based on information we were seeing unfold in front of us. BH needed to get OG chewie, the leaks of possible information that seemed to be playing out, and pushing of BH ships. If you didnt see the writing on the wall it doesnt mean it's not there and it doesnt mean others didnt. I'm not sure how long you have been playing, but many of us have been here a long time and as such, have a little more freedom to farm as we want. It has nothing to do with information in some cases. I started farming ig2000 the minute it hit, because I had nothing else on my plate in that table, and I had a decent stash of crystals so I made sure I would hit it sooner than later. Not sure what any of this has to do with you saying there is no balance or it's not interesting (which why are you playing if you don't find it interesting?). Planning and sometimes risking on a long shot(short shot in this case) is what it's all about. The grind is the game, everything else is just for fun. If everyone had 4 fleets that could always win, that would be less interesting and less change. That would just be boring and people would stop playing. Seeing a new team, trying to figure out a counter or the best way to guarantee a win, that's my fun. What's yours? Agreed. This is how I finally managed to beat a Falcon just before my payout last night. 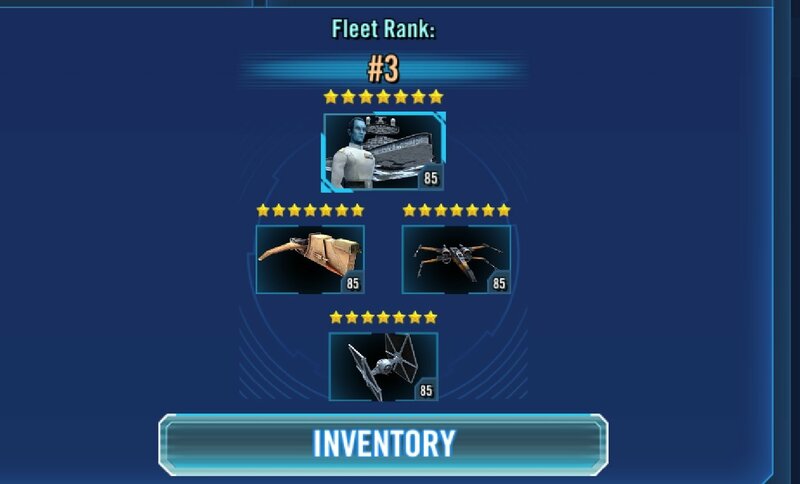 One of my guild mates also had success using Thrawn with HT/SF/GSoldier and reinforcing with Spy (which was also my lineup pre-Falcon). Forced taunt debuff overrides the Falcon's can't-be-targeted buff, and the Geos have enhanced accuracy. Spy's special should insta-kill the Falcon.